We’re proud to bring you an Exclusive reveal of a figure that’s surely going to find it’s way in to many collections – The R.I.O.T. Commando, thanks to our friends a Fresh Monkey Fiction! This render of the Urban Infantry Soldier troop builder from Eagle Force Returns looks absolutely amazing and will definitely blend well with your existing Modern Era collection. The R.I.O.T. 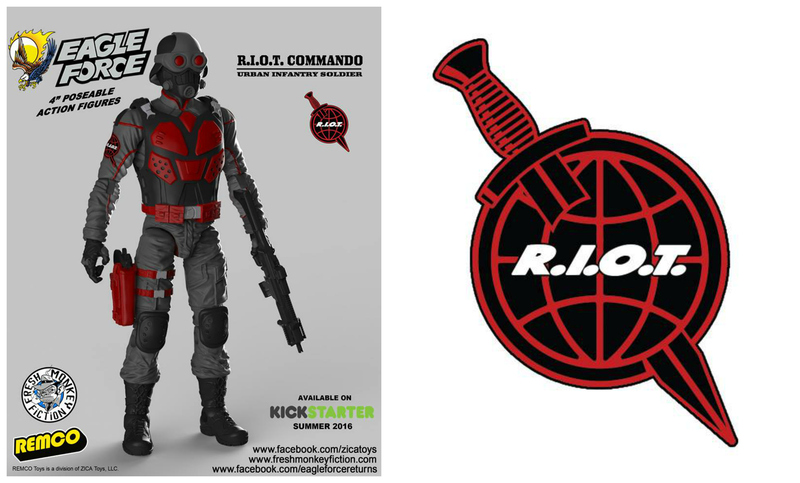 Commando comes with removable weaponry and gear to help him achieve all of R.I.O.T.’s evil goals! 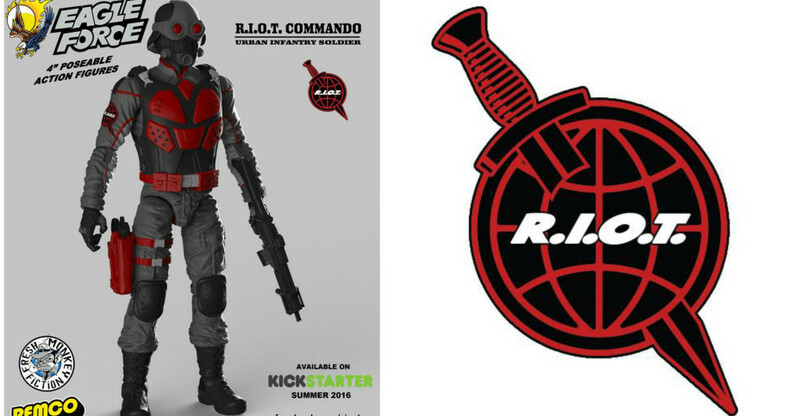 I know I speak for many when I say we can’t wait for the Kickstarter campaign to launch this summer! 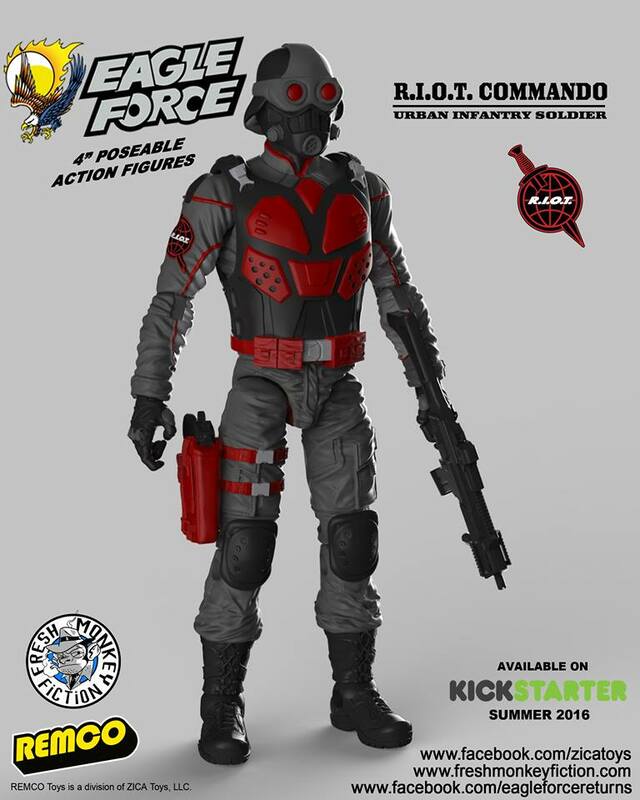 You can check out more upcoming Eagle Force Returns figure images and join in on the discussion here on the boards after the break!